Ok..I’m on my kick again today to encourage you to try something new! 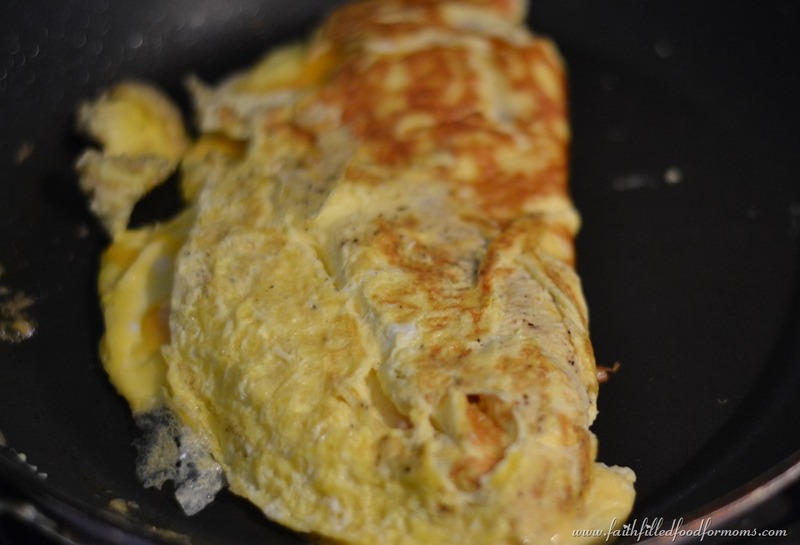 Don’t let your fear of not cooking something perfectly stop you from experimenting…it doesn’t need to be perfect my friend…as you can see this wasn’t my most perfect omelette, but who cares..they are deelish! 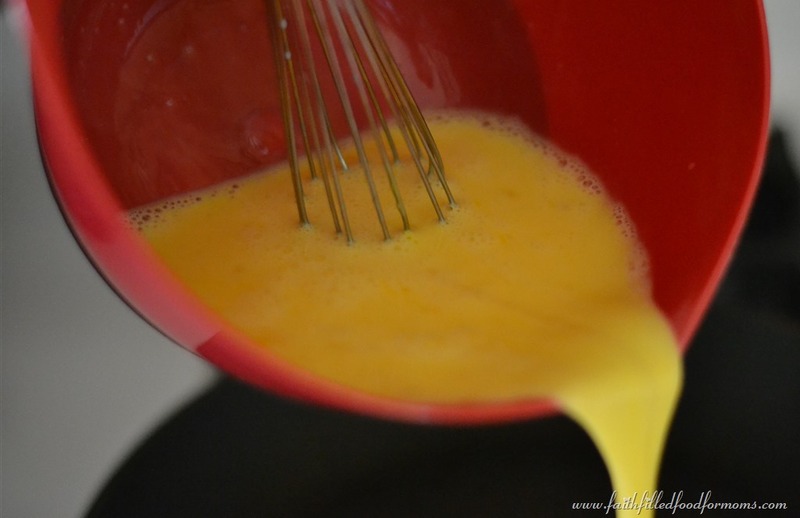 So today.. I’ve got a little tutorial on How to Make a Simple Cheese Omelette. Oh by the way..there are a couple of ways to spell Omelette..and this is one. Non Stick Frying Pan ~ ALL of my pans are no stick these days. You simply can’t beat the ease of use and clean up. Love them! 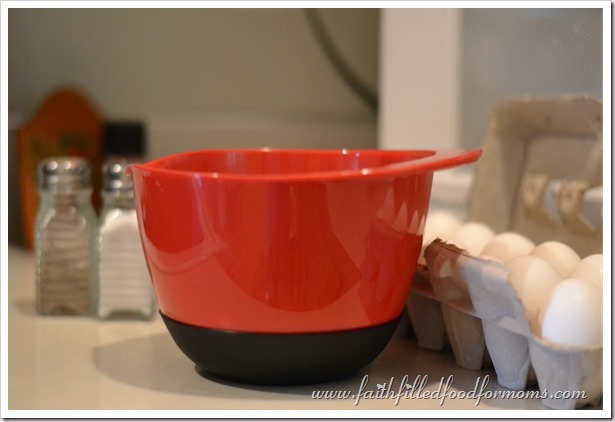 Rubber Bottom Mixing Bowls ~ Ok these are my ALL TIME FAVES. I don’t know who invented them, but they make mixing so much happier! No sliding, pouring spout AND a little handle on the edge for easy pouring. 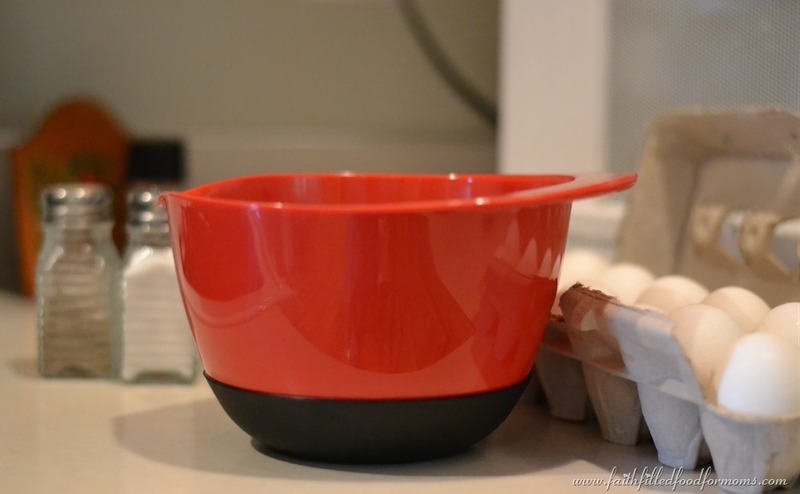 Ya I’m in love..
Large Spatula ~ A large round Spatula is perfect for turning Omelettes over! 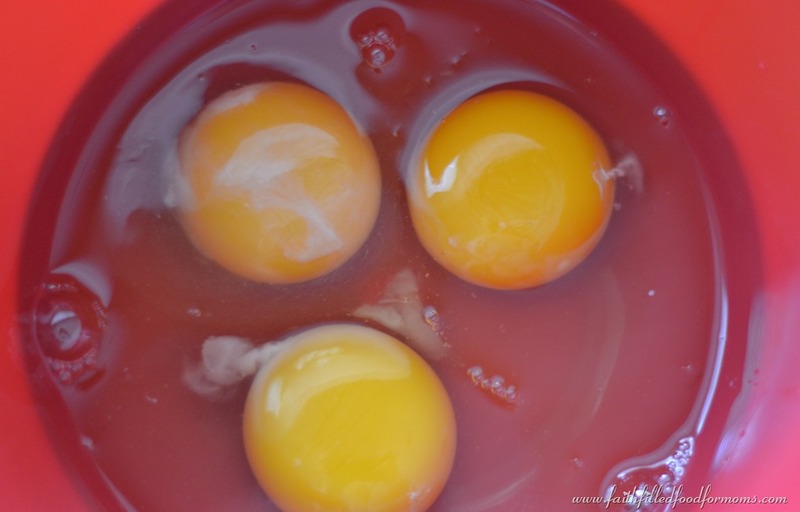 3 eggs – this is for One Omelette – if you’re a big eater..
Cheddar Cheese or anything you want! Then let cook a little more.. The middle will still be a little moist…now add cheese or anything your heart desires! Now just flip the other side over and let cook so that cheese melts and inside cooks a little more..unless of course you like a little big of runny eggs…If you want you can put a lid on top and speed up this last bit AND cook your eggs a little more..
Notice that I’m not too worried about having the most perfect looking Omelette! You shouldn’t either or you will never try something new! 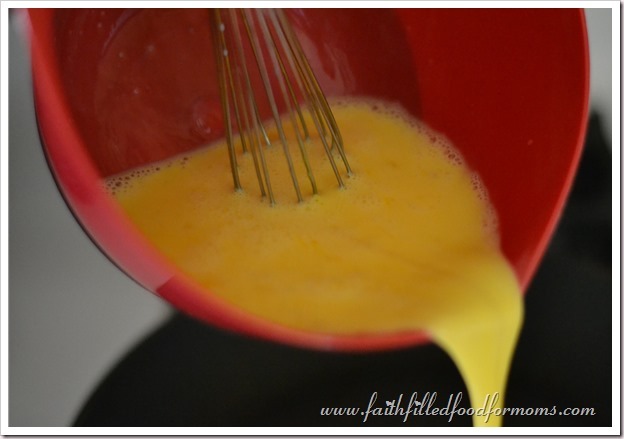 Have you made Omelette’s before? 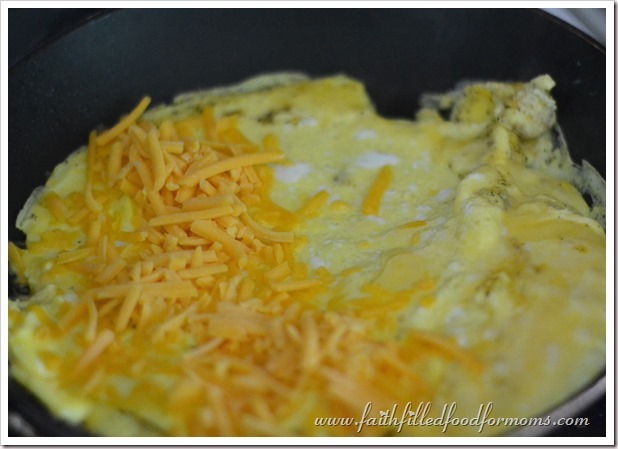 Let me know how your Simple Cheese Omelette turns out! What are your favorite add ons! Oh yum..I’m getting hungry! 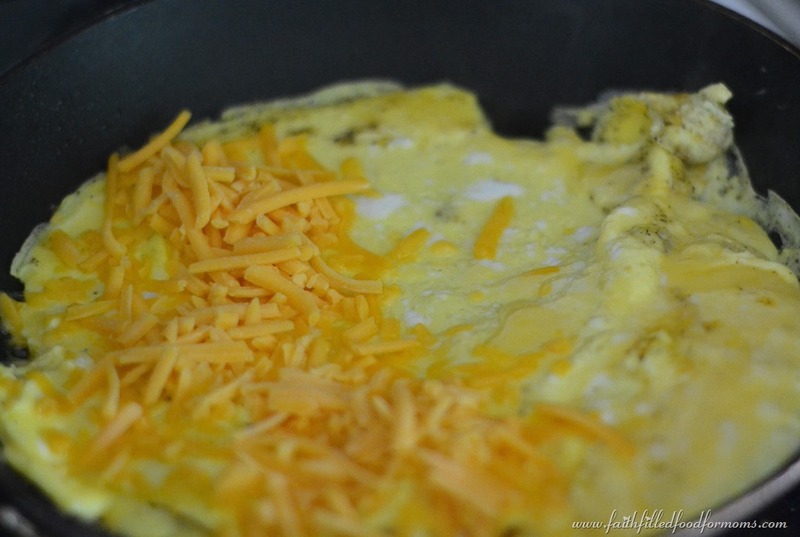 Now just flip the other side over and let cook so that cheese melts and inside cooks a little more, unless of course you like a little big of runny eggs…If you want you can put a lid on top and speed up this last bit AND cook your eggs a little more..
Yum, thank you, I could so do this! Hi Amber! YES you could!! It’s really pretty easy…Can’t wait to hear how it turns out!! Thanks for stopping by! Blessings to you! Hello Shari ! 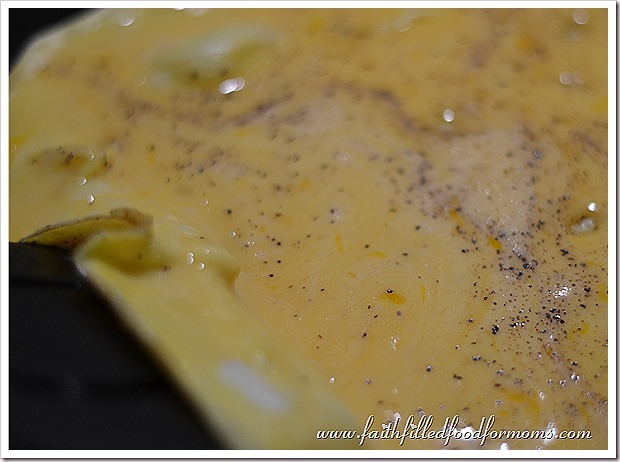 I agree that we should not be afraid in experimenting just because our cooking is not at all perfect, including making a simple cheese omelette. In my case I try putting in some tomatoes but I saute it with garlic and onions. 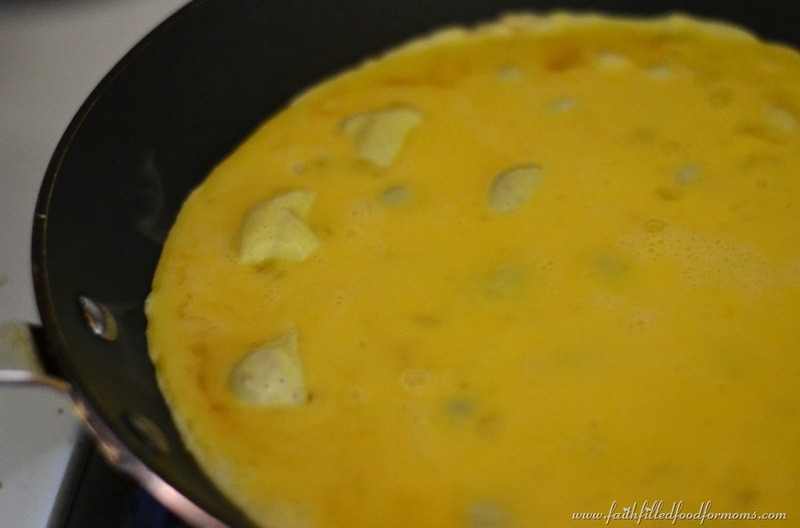 With this cheese omelette I will try to add mushrooms with it. Just need to be mindful of my kids, they have a habit of tasting my imperfect omelette without me knowing it. By the way I am now following you at SVERVE. Hope one day you could share your tips on how you have grown your blog audience in spite your busy schedule. Hi Sarah! Yes I absolutely love to put veggies in my Omelette! But nobody else likes it that way..boo hoo! So I usually make myself a small one 🙂 Just for me.. LOL I would love to share how I’ve grown my audience..there really is no secret formula..just a lot of TIME! I’ve also done ALOT of giveaways too and that is how I’ve gotten many of my audience..many have stayed many have gone..but it seems to be pretty consistent. I’m thinking of doing a newsletter next! What do you think? Also..I’m in the process right now of brainstorming some ideas about doing an ebook or something like that. If I were to do something like that what would YOU like to see…I’m thinking maybe a daily journel/devotional or a kids cookbook or something like that..or maybe something regarding recovery..what do you think? Looks great. ……..we enjoy omelets. 🙂 They are quick and easy….but taste so good. Thank you for posting. 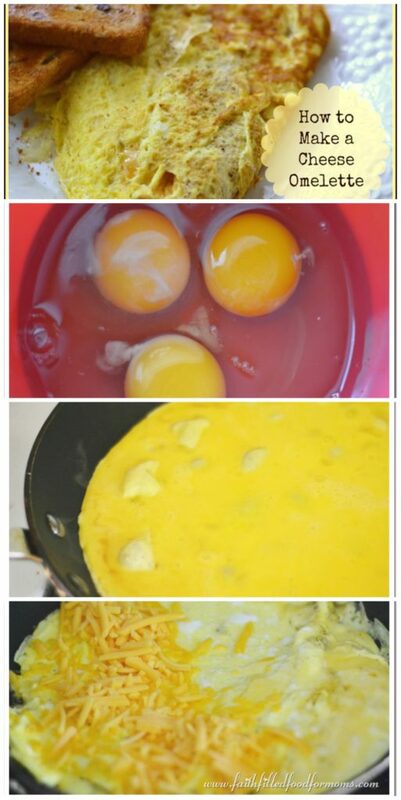 Love omelettes. Thanks for the cooking tips. 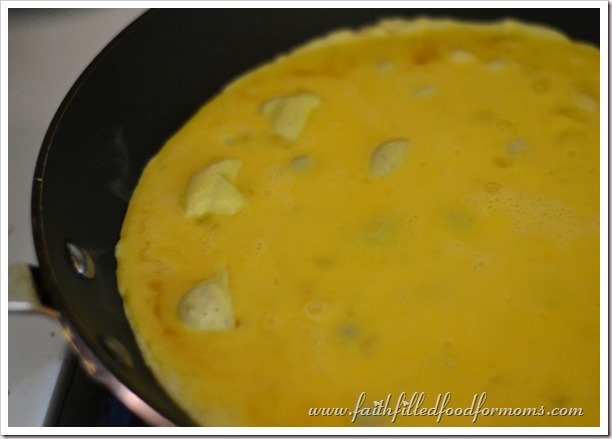 I love omelets, its fun to add what ever you want and it tastes different each time. I love eggs. I always forget to add the cream to make the eggs more smooth. This is a great tutorial! This is one of those techniques that everyone should learn. Classic! 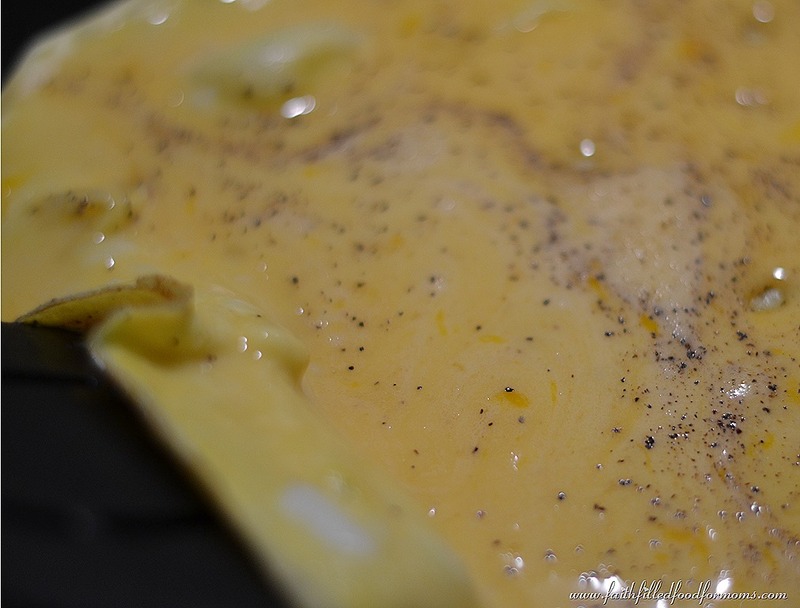 Your Cheese Omelette looks wonderful! Hope you are having a great week and thanks so much for sharing with Full Plate Thursday. 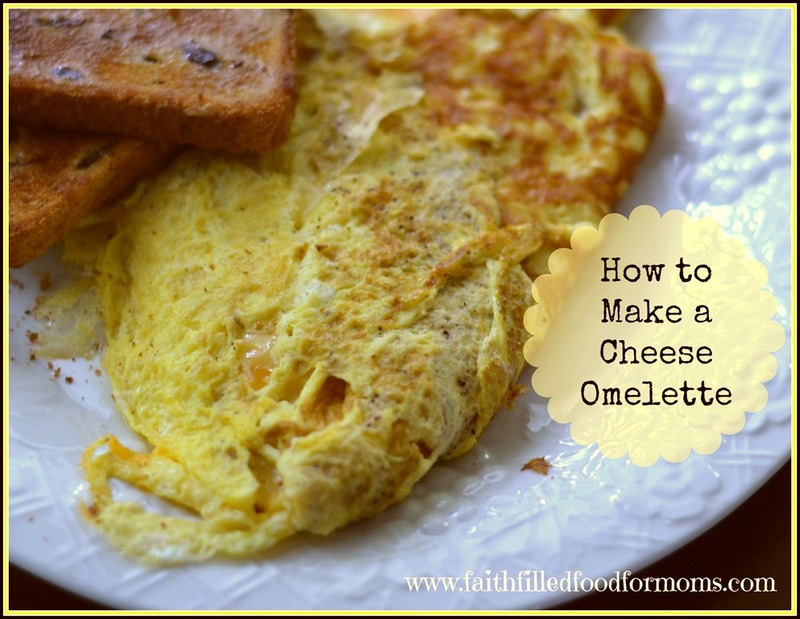 I love omelets my favorite add ins are ham, bell peppers, onions and cheese. I love the idea of you having a newsletter, where do I sign up.